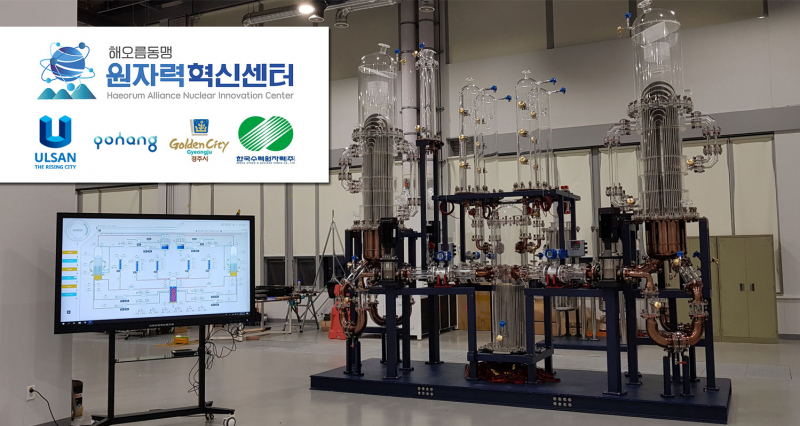 Haeorum Alliance Nuclear Innovation Center held its first-year performance review meeting at UNIST on March 15, 2019. The 2019 Annual Performance Review Meeting was held at UNIST on March 15, 2019. An innovation platform aimed at improving the efficiency and safety in nuclear power plant operation made its debut at UNIST. And this was a combined effort by the Korea Hydro & Nuclear Power Co., Ltd. (KHNP), Ulsan City, Gyeongju City, and Pohang City. On March 15, the Haeorum Alliance Nuclear Innovation Center held its annual performance review meeting at UNIST to report on the progress of the center during the past year. The meeting, which was held to commemorate its first anniversary, aimed at networking and sharing the past outcomes that have been carried out by the committee members of the Haeorum Alliance Nuclear Innovation Center. Deputy Department Head Seung-pil Choi of KHNP also attended the event to offer strategic and business development advice to the center. Outside specialists have also been invited for each field to discuss current issues and share opinions on the research results of the center’s detailed projects. This meeting was also the first time UNIST showcased its UNIST Reactor Innovation LOop (URI-LO), a nuclear energy technology platform that can carry out various experiments by combining them with fourth industrial revolution (4IR) technologies (AI, big data, autonomous vehicles, 3D printing, and drones). The platform, which has undergone a year of design and construction process, serves as a test bed for the maturity assessment of 4IR technologies that can be applicable towards innovation in nuclear energy technology. 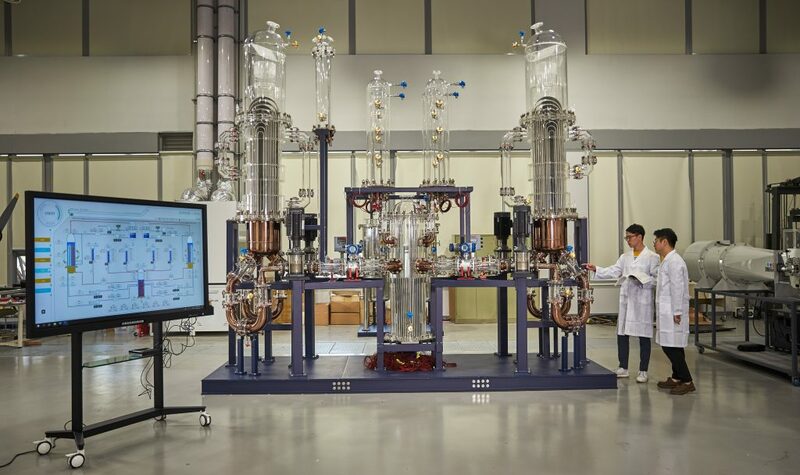 The URI-LO was established by reference to the first Korean-designed Advanced Power Reactor 1400 (APR-1400), which has recently been exported to the UAE. It is about one-eight the size of the APR-1400. The new platform has implemented a simple and intuitive operation conditions, similar to the actual operating conditions. It allows the application of various emerging technologies which could not be carried out by large-scale nuclear test facilities and most nuclear power plants currently in operation. The new innovation platform ‘URI-LO’, which is aimed at improving the efficiency and safety in nuclear power plant operation is installed at UNIST. The second-year business plan, announced by the center, includes: ▲ Design Verification via the Application of Numerical Analysis Code ▲ Testrun of the Platform ▲ Upgrading URI-LO via Installation/Production of Components based on 3D Printing Technology ▲ Data Collection via Installation of Various Advanced Measurement Devices. In this way, the center hopes to carry out research that applies various ideas that will enable a future for nuclear innovation at URI-LO. 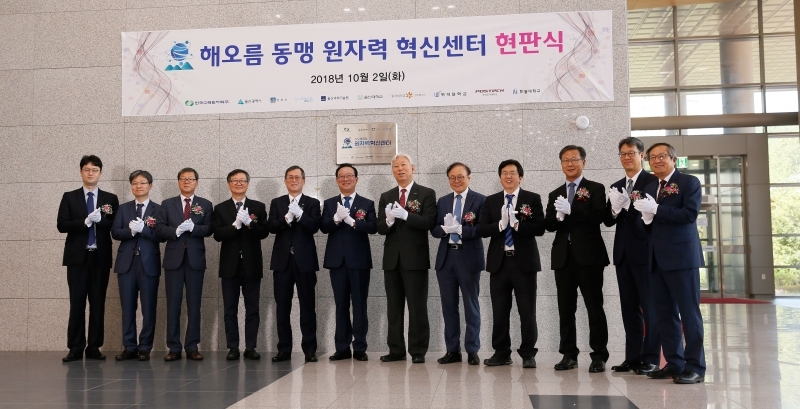 Meanwhile, the Haeorum Alliance Nuclear Innovation Center was established under the support of KHNP, Ulsan City, Gyeongju City, and Pohang City, as well as the cooperation among the 6 major universities (UNIST, University of Ulsan, Dongguk University, Uiduk University, POSTECH, and Handong Global University) in the Haeorum region.